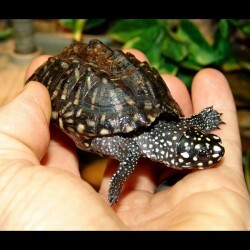 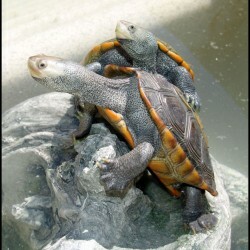 Water Turtles For Sale - The Serpentarium, Inc. 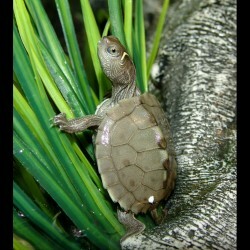 The Fly River Turtle (a.k.a. 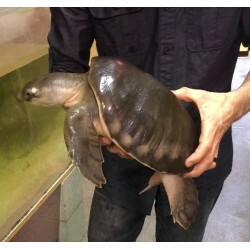 Pig-nosed Turtle) is a species of turtle native to northern Australia and southern New Guinea. 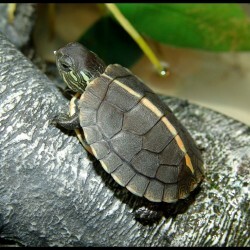 Gender: Male Size: 10" - 12"
Mississippi Map Turtles (Graptemys pseudogeographica kohnii) They get their name from the rivers that they're native to and the map-like markings on their shell.